The engaging history of the people whose contributions to scientific pursuits make us rethink the meaning of the word "scientist." Think you need a degree in science to contribute to important scientific discoveries? Think again. All around the world, in fields ranging from astronomy to zoology, millions of everyday people are choosing to participate in the scientific process. Working in cooperation with scientists in pursuit of information, innovation, and discovery, these volunteers are following protocols, collecting and reviewing data, and sharing their observations. They are our neighbors, our in-laws, and people in the office down the hall. Their story, along with the story of the social good that can result from citizen science, has largely been untold, until now. Citizen scientists are challenging old notions about who can conduct research, where knowledge can be acquired, and even how solutions to some of our biggest societal problems might emerge. 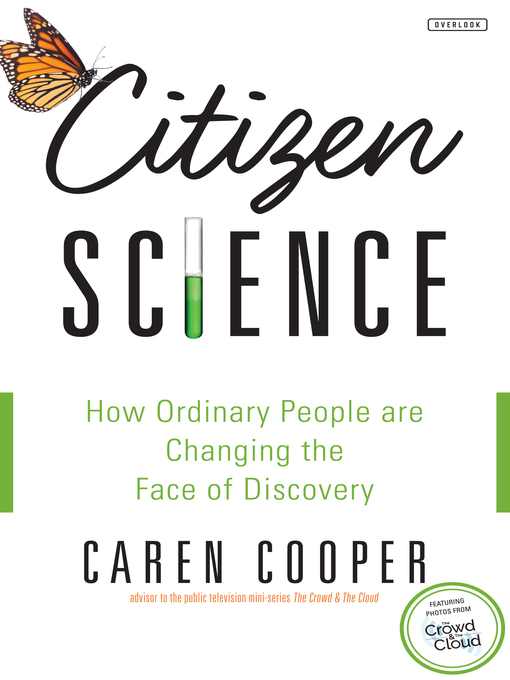 In telling their story, Cooper will inspire readers to rethink their own assumptions about the role that individuals can play in gaining scientific understanding and putting that understanding to use as stewards of our world. Citizen Science will be a rallying call-to-arms, and will also function as an authoritative resource for those inspired by the featured stories and message.